Minsuk Cho was born in Seoul and graduated from the Architectural Engineering Department of Yonsei University (Seoul, Korea) and the Graduate School of Architecture at Columbia University. With partner James Slade, he established Cho Slade Architecture in 1998 in New York City to be engaged in various projects both in the U.S. and Korea. In 2003, he returned to Korea to open his own firm, Mass Studies. 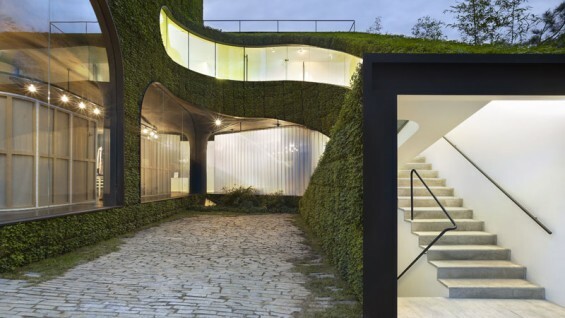 Cho’s awards include the Architectural League Prize for Young Architects and Designers in 2000 for his work at Cho Slade Architecture and two U.S. Progressive Architecture Awards (Citations) for “Von Erlach House” in 1999 and “Dalki Theme Park” in 2003. The Dalki Theme Park was exhibited at the theme exhibition of the 2004 La Biennale di Venezia. His work includes Pixel House, Dalki Theme Park, Nature Poem, Boutique Monaco, Seoul Commune 2026, S-Trenue, Ann Demeulemeester Shop, Xi Gallery, and the Korea Pavilion at Shanghai Expo 2010. Admission is free for League members, Korea Society members, and The Cooper Union students/faculty/staff, and $15 for non-members.